These photos were taken two years ago when we celebrated our son's 7th birthday. We don't do birthday parties anymore so we take our kids in places where they can enjoy and at the same learn some things. We have never been to Carnegie Science Center so we thought it would be an awesome time to explore on his birthday. I just remember these photos that I have forgotten to post because I was thinking EJ's birthday this coming Friday. I can believe my little man is turning 9 already, whew! Anyway both of the kiddos were fascinated by the robot displays in the CSC. They were amazed how this robot can accurately shoot the ball in the basketball ring. Rylie is into this sketchbot. You can basically sketch anything and the machine will build it for you. They patiently watched how their sketches were built. "That is so cool" was their exact statements. We had a fun time at Carnegie Science Center. I would like to go back there again. Punk rock is one of the big head-turners of the fashion world. 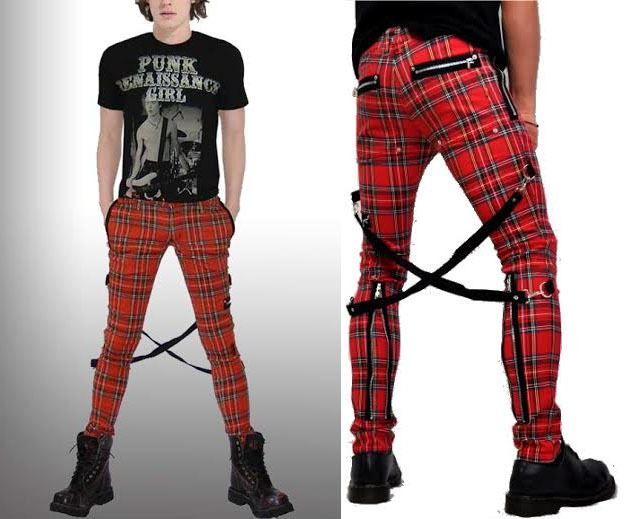 Nearly everyone has a bit of a punk side, making all of these items a wonderful investment for a night out; especially for a good rock concert or Battle of the Bands. It is a very youthful fashion statement that applies for anyone. The duct tape wallet has been popular since its inception during the duct tape craze, nearly 15 years ago. Duct tape is now available in hundreds of different prints, meaning there is something for everyone. These wallets are a cheap, wonderful DIY project for a lazy Sunday afternoon. Tripp pants continue to go in and out of the fashion spotlight. These hot pants are a well known brand, with a wide variety of styles and colors. From skirts to chain laced pants, they have a clothing item for virtually any event. They are affordable and budget friendly as well. Black nail polish will always be a core item in punk rock and gothic fashion. Both men and women use black nail polish, as black is the go to color in this sector of fashion. Many punk rockers have black hair and an assortment of black clothing, so the polish compliments these items nicely. Leggings are a favorite among punk rock women. They are comfortable, affordable, and are available in a wide variety of prints and colors. They are commonly paired with long shirts, jackets, and heavy combat boots. They are very slimming in contrast to the bulkier clothing. As the popularity of leggings continues to soar, nearly any print can be found: galaxies, kittens, unique designs, and even cupcake prints! Jelly bracelets are thin, small, flexible bracelets that are commonly seen worn by the dozens. They are rather cheap and quite comfortable to wear. As punk rock evolves, it seems that the jelly bracelets continue to be seen and worn due to their simplistic design. They are also available in a variety of colors; but again, black is the preferred and most widely available color. Turning to the punk rock world of fashion is an exciting experience. It is a daring fashion that allows for a lot of character and personality, which is why many turn to this look. It is also easy to put together and most items are very affordable.